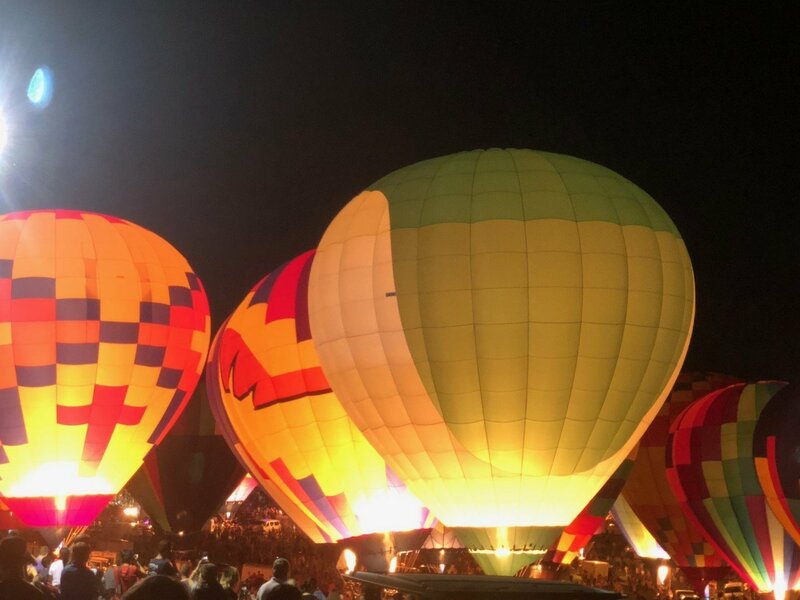 Looking to visit the 2018 St Louis Balloon Glow and Race? You aren’t the only one. Mommy And Me Travels has always promised to provide my honest opinion about events that we attend. This review is meant to provide some tips for anyone planning to venture out as we ran into some challenges. Maybe you can learn from our lesson. Event – The event itself is free. This is great as it is wonderful to see so many hot air balloons in one location. This was the excitement for my sons that we wanted to experience. The unfortunate part is that it was SO crowded that you could not move. I was not a fan of the layout at this event. Everyone was funneled into a location that was only half of the space that was needed for the amount of people in attendance. The reason I say half is because the balloons are set up next to the lake. This makes for a beautiful setting but not enough space for everyone at the event. Tip #2, if you plan to attend arrive hours before the activities start so that you are able to move about and claim some real estate to view the festivities. Kids Activities – The park had set up a kids area for their enjoyment. Unfortunately due to the extreme amount of people, this location was very crowded. We were able to see but not partake in the fun. It looked to be hours of waiting before the kids could do anything. As you can imagine, most children are not patient enough to wait in those types of lines. Tip #3, don’t tell the kids that these activities will be there until you arrive and see how long the lines are. My son was so disappointed that he was not going to get to play in the kids area. I made the mistake of telling him all of the fun there was going to be while we looked at the balloons. Final Thoughts – The glowing of the balloons is a wonderful sight and I’m glad we saw some of it. I am disappointed in how unorganized the layout and parking seemed to be. The size of the crowd interfered with our ability to truly enjoy the experience. I’m unsure if we will attend the race on Saturday as we originally planned because of the unfortunate experience we had at the Glow on Friday night. If we do attend, I will update this article or provide another on that experience. Did you get to the Glow early enough and have a more positive experience to share? We’d love to hear about so that we could take tips from you for possible future events.